Reputation Management – WebAtude – Internet Marketing Done Right! The reputation that a business holds has a huge influence on success, and online reputation is a management tool that must be taken advantage of. We understand that protecting your good name can be an arduous job while trying to combat negative press, social media assaults, or forum attacks that pertain to your name in search results. And for reputation management, WebAtude is the solution you’ve been looking for. We feel it is important to know what customers are saying about your business because what they say about you matters a lot. WebAtude takes the time to focus explicitly on research to find the best practices then build a strong trust to implement to your customers. 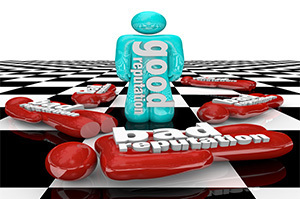 Having an online reputation is one of the most valuable assets a business can have and a perception of value that the customer, old or new, can trust and rely upon. Our WebAtude team works through this process for you to build a strong, yet competitive online reputation. WebAtude knows how critical it is to take control of your company’s online reputation, manage your visibility, and compare yourself with other competitors. Gain the upper edge and know what is being shared about you and your business to maintain an outstanding online presence.